The city has chosen to contract with a non-union security company that labor advocates say has violated workers' rights and failed to provide a living wage. Bert Johnson SEIU's Carl Walter says First Alarm is an "irresponsible contractor." Last November, the City of Berkeley awarded a lucrative contract to First Alarm Security and Patrol to provide guards at a number of city-run sites, including the Berkeley Public Library and City Hall. With little discussion, the city council unanimously approved the recommendation of the City Manager's Office to select First Alarm, and the San Jose-based company began dispatching officers in January. But over the last month, labor advocates have grown increasingly concerned about First Alarm's wage policies and its treatment of employees, with activists now questioning why the city selected the firm in the first place. The security officers who previously held these positions worked for a company called Universal Protection Services and were members of the Service Employees International Union (SEIU) United Service Workers West. That meant that they enjoyed a number of union protections and benefits. By contrast, First Alarm is a non-union company that, records show, is now paying Berkeley workers the lowest wages it can legally offer and has already committed multiple labor violations, according to SEIU and one employee. The labor disputes with the company have sparked criticisms of Berkeley's process for selecting contractors and have raised renewed questions about the effectiveness of the city's living wage law and enforcement policies (see "The Failure of Berkeley's Living Wage Law," 4/23/14). "I was really disappointed," said Patrice Roland, a longtime security guard at the Berkeley Public Library who left for a new job when First Alarm took over. If a union company had won the contract, Roland said he would have maintained the seniority benefits he had earned as a result of working at the library since 2003. "With non-union, all of that stuff is out the door," he said. "And I'm not guaranteed to have a job. They can cut me loose at any time for any reason." Starting in 2009, Universal Protection Services provided security services for the library, City Hall, the Berkeley Harbor Marina, and three other facilities. Last year, the city solicited bids for the security contract and received 22 applications, including one from Universal Protection Services (whose contract expired at the end of 2014). A panel of city officials ultimately chose First Alarm, also known as First Security Services. The $1.3 million contract runs until June 30, 2017, at which point the city can extend it for two more years for a total of no more than $2.3 million over five years. First Alarm has a separate $674,000 contract with the library through 2019. When it reviews contract bids, the city strongly considers the companies' proposed prices. As a non-union company, First Alarm likely had lower costs than union applicants. The city did not respond to my request last week for the proposals or specific prices that First Alarm and Universal Protection Services had presented. Regardless, by many measures, First Alarm's wages and benefits are worse than Universal Protection Services' package for Berkeley workers, according to Carl Walter, lead organizer with SEIU's security division. "First Alarm is an irresponsible contractor," he said. Currently, the living wage law in Berkeley requires city contractors to provide employees a minimum of $13.71 per hour and a medical benefit equivalent to at least $2.28 per hour. SEIU's contract with Universal Protection Services required annual pay increases for Berkeley workers, meaning more experienced employees were making salaries above the city minimum. For example, last year, Roland made $14.50 per hour in addition to receiving health care benefits from Universal Protection Services. Under the union contract, employees also received increases in paid time off based on seniority and had the option to receive annual cash payouts for unused vacation days, according to Walter. Workers further got paid holidays off and "time and a half" pay if they worked on holidays. First Alarm, however, is paying its employees the $13.71 hourly minimum, and in the first month of the contract "no officers reported having access to healthcare during on and off site interviews," Walter wrote in a January 30 letter to Berkeley City Manager Christine Daniel. That is a violation of the living wage law, he wrote, adding that full-time officers are owed $2.28 per hour, or nearly $100 per week. Walter also wrote that in the first few weeks of the contract, First Alarm did not provide uniforms for former Universal Protection Services officers and instead deducted "uniform allowances" of $50 per week from those workers' checks, dropping their pay further below the living wage minimum. In addition to those alleged violations, Walter told me that First Alarm's provisions for paid time off, while legal, are inferior to the union contract. Workers aren't getting paid on holidays when city offices are closed, and he said it also appeared that there were no options to receive cash payouts in exchange for unused vacation days. Plus, without seniority benefits, longtime workers would have significantly less paid-time off with First Alarm compared to the contractual terms that SEIU negotiated with Universal Protection Services, he said. Most former Universal Protection Services workers in Berkeley, like Roland, chose not to keep their positions and join First Alarm — and instead looked for new jobs, according to Walter. Many are East Bay residents who could only find comparable security wages in San Francisco. Roland, a Richmond resident, said that First Alarm offered him his library job, but that, despite his repeated requests, company representatives did not give him details about vacation days, healthcare benefits, and other critical information. 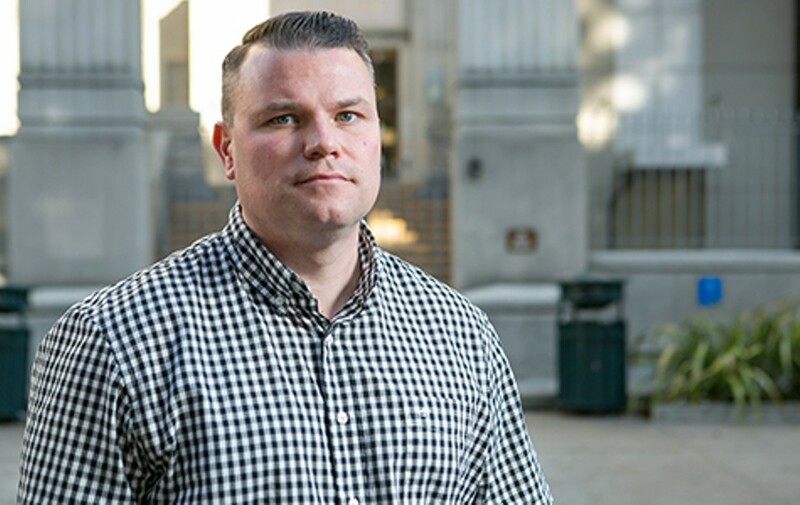 He said that because he only had one week to accept the offer and was sure that First Alarm's benefits would be significantly worse, he decided to stick with the union and take a security job in San Francisco — which means he now has a much longer and more costly commute. The departure of Roland and another UPS guard from the library sparked an internal backlash. "We have nothing but praise for our weekday guards, and feel that letting them go with a week's notice is shabby treatment," Debbie Carton, an art and music librarian, wrote in an email to library management in December. "Offering them a non-union position to stay here is not an equivalent position." For one former Universal Protection Services employee who decided to stay on with First Alarm, the transition has been challenging. According to Walter, that employee took a salary cut under the new contractor and as a result has been forced to get a second security job to make ends meet. 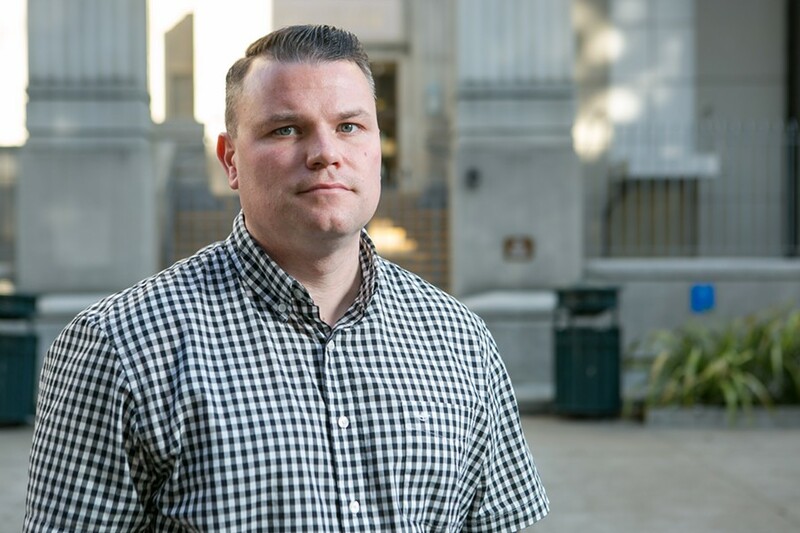 Walter filed a complaint with the state on this employee's behalf, alleging that First Alarm owes him back pay for illegally charging him the uniform fee and for its failure to provide the healthcare benefit. Since 2002, the state has ordered First Alarm to pay back wages to at least four different employees, according to records from the labor commissioner's office. Two of those four claims involved, among numerous complaints, disputes about uniform reimbursements. Reached by phone last week, Teresa Huerta Larkin, chief administrative officer for First Alarm, said her company is compliant with Berkeley's living wage law and declined to comment further. Berkeley's living wage law has come under scrutiny over the last year after the state labor commissioner's office ruled in 2013 that LAZ Parking, a contractor that manages city garages, had violated the law and underpaid one of its workers. In that case, LAZ argued that because it had offered medical benefits and the employee had declined (because he received cheaper health insurance elsewhere), LAZ was legally allowed to pay the lower living wage rate. The state ruled in favor of the worker and ordered LAZ to pay the cash equivalent it had denied the employee. But the City of Berkeley subsequently argued that LAZ's interpretation of the law was correct (see "Berkeley Sides With Living Wage Violators," 7/9/14), prompting harsh criticisms from labor activists. First Alarm did not even offer healthcare benefits during the first month on the job and still paid workers the lower rate, Walter said. After he sent a letter to the city raising concerns, First Alarm delivered healthcare enrollment forms to employees. But Walter remains concerned that the company will pay the lower rate to employees who decline coverage in the same way LAZ did. Last year, city Councilmember Jesse Arreguín proposed rewriting the city's living wage ordinance to explicitly state that employees of city contractors have the option to receive the cash value of the health care expenditure. The council should vote on that proposal next month, Arreguín said. He added: "Berkeley is a community that supports fair wages and benefits for workers. ... We need to look at the rights and protections that contract employees have." Arreguín said he was unaware that First Alarm was a non-union company when the council approved the city's recommendation in November and said he would have voted against the contract if he had known. Matthai Chakko, spokesperson for the City of Berkeley, wrote in an email that First Alarm has agreed to pay the $2.28 hourly medical benefit it owes employees for January. He also said the uniform fee was a one-time "deposit" that the company will return to workers when they return their uniforms. He said city officials are meeting with First Alarm this week and will review the company's payroll documentation to ensure it's in compliance with Berkeley's living wage law.